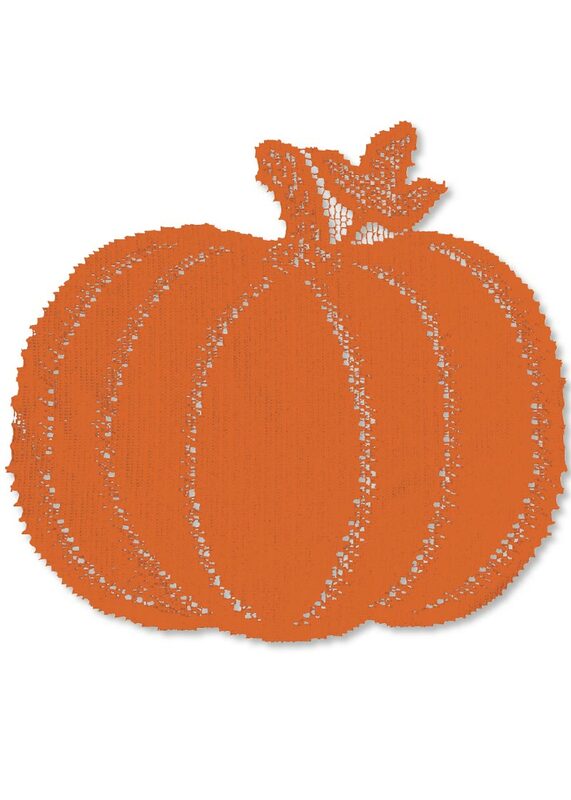 A small and cute orange pumpkin doily, a perfectly festive addition to your dining table, side table or dresser! Get into the Halloween and Thanksgiving mood and bring the harvest into the home. 100% polyester. Machine wash cold, gentle. Do not bleach. Lay flat or hang to dry. Touch up with cool iron if desired.